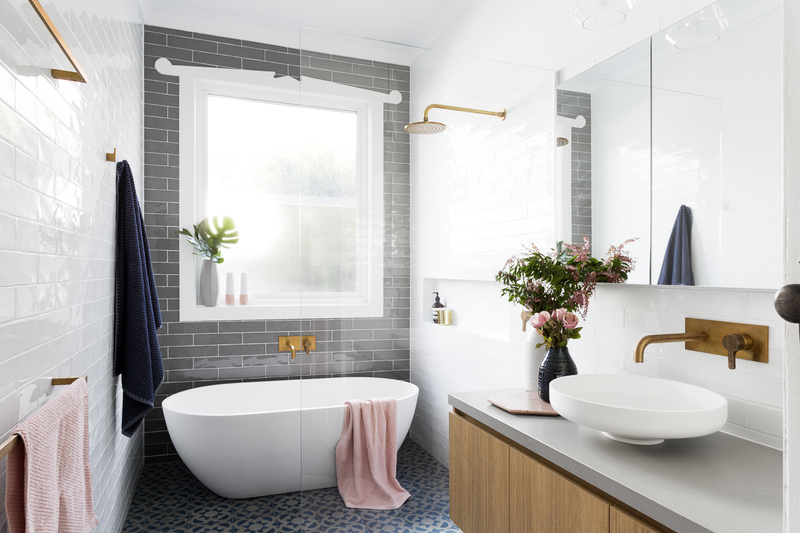 Bathroom design tends to be very important for most homeowners in Sydney. This is due to the fact that a bathroom is used often and on a daily basis. 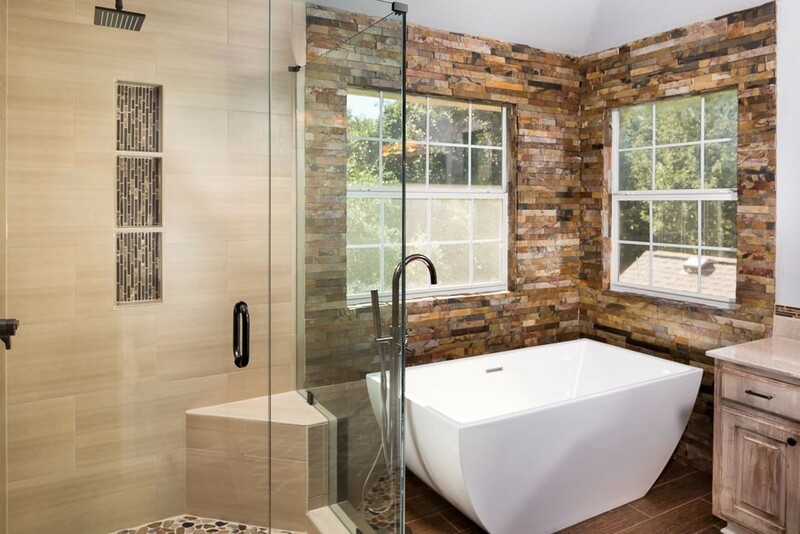 Whether you desire to spruce up your home for a sale or you just want to give it a new look, remodeling a bathroom is a crucial project. An extensive renovation design (including walls, new fixtures, walk in bathtub, a shower and tiling) can be quite costly. Many homeowners may not afford such an expensive project. Luckily, you can still give your bathroom a fresh look for just $50 to $100. You will only have to do some few alterations without breaking a bank. This article discusses DIY tips and ideas for renovating a bathroom. It also offers detailed information about extensive renovations. 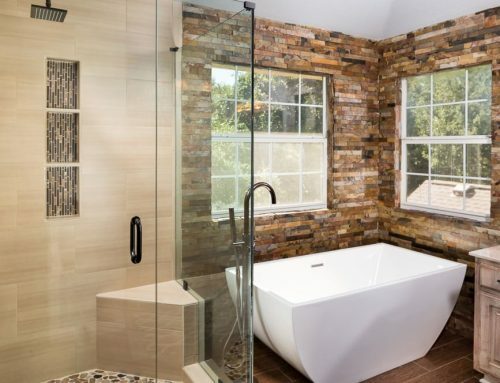 For most homeowners, the word renovation makes them shiver since it is believed to be an undertaking that demands huge construction efforts and expenditure. However, renovations can be done on budget without complications and overspending. Replace the old shower curtain with a new one. Mildew and mold resistant shower curtains made of vinyl come in many styles with a wide range of patterns and color schemes. Whether you go for a new fabric or vinyl shower curtain, you will achieve dramatic change and spend less than $50. You can get more dramatic results by adding new accessories in your bathroom. For instance, you can get a decorative curtain rod or designer curtain for your shower. This can be combined with colored towels that are strategically placed to make the bathroom feel more relaxing, all below $100. Color is very important in a bathroom. Different colors give certain moods and emotions. 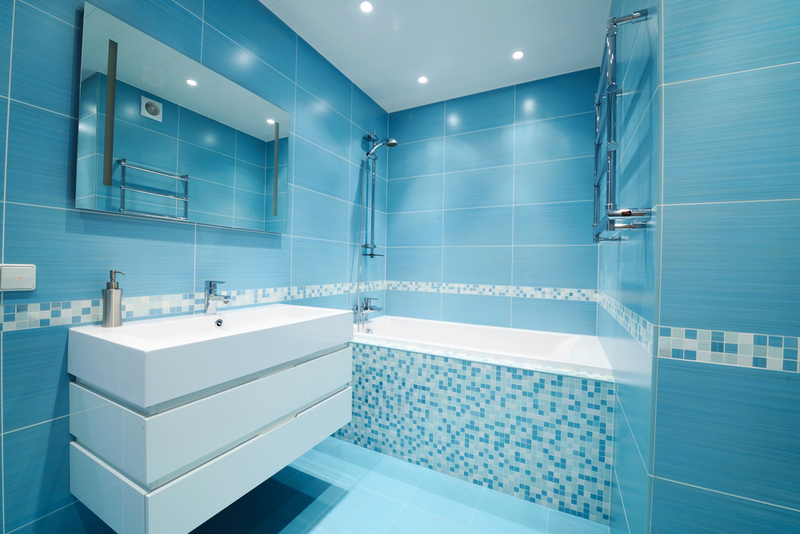 Just think about the kind of bathroom environment you desire when remodeling. For instance, bright colors like yellow, orange, and red evoke energy and excitement. Cool colors like earth tones and blues create a soothing, calm atmosphere. A fresh coat of paint also assists in bringing the interior design to a whole new level without spending too much. You will only add $50 to $100 and select a color of your choice to get the design you want. You can try a neutral color like earth tones or beige in varied hues. You can get dramatic results by adding coordinated bathroom accessories. Smaller bathroom design. 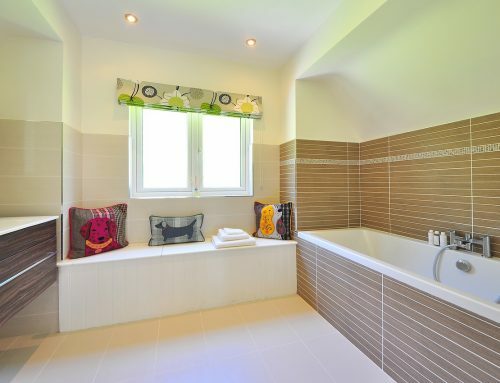 If your bathroom is limited in terms of space, start with removing clutter. This will open it up and make the room appear bigger. Save extra space by utilizing spaces adjacent to your bathroom to store bathroom supplies and towels. You can also add wall cabinets of storage shelves in the room to save floor space. 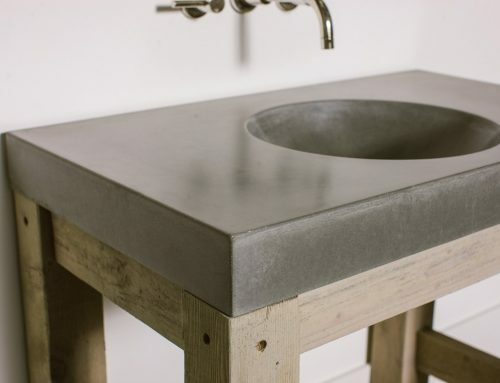 You can remove the vanity sink and replace it with the pedestal type of sink to free up more space. Placing mirrors on opposite walls can make the room appear larger through illusion. 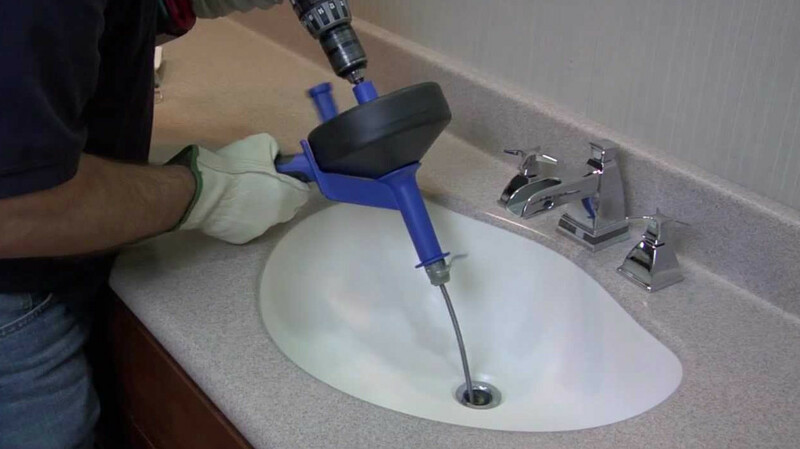 Refinishing your bathroom can renew it. Alternatively, you can paint the tub with a new color to make it look like new. Refinishing would cost far less that installing new fixtures and this will enhance the overall color scheme of the bathroom inexpensively. If you are planning to do a major renovation in your bathroom, you should note that tiling can give it a dramatic change. 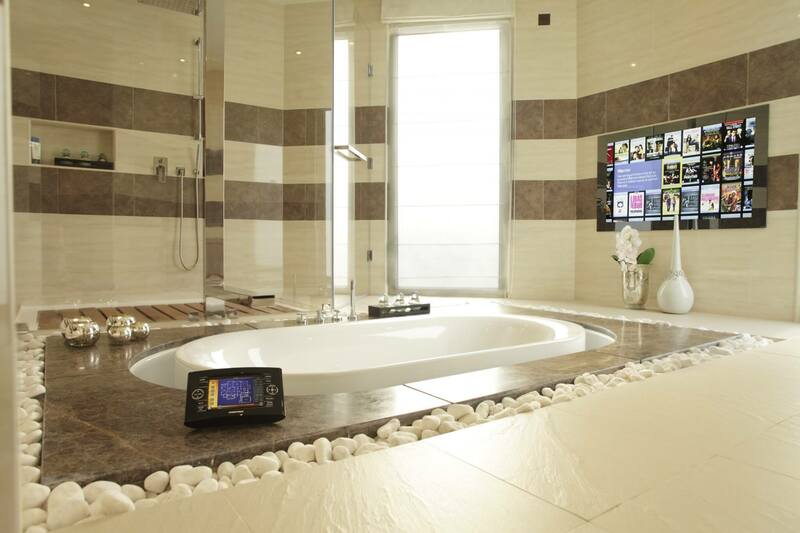 For instance, exotic stone and ceramic tiles are some of the best tiling for a modern bathroom. Use creative tile design and pattern to give striking results. You can choose contracting colors for the tile mural or borders to create a breathtaking floor or wall design. Although expert tile installers know the best ways of laying ceramic tile, avoid using mastic adhesive. There are many resources that recommend mastic adhesive. However, professionals agree that it is not the best installation technique. This is true especially in high moisture sections such as around tubs and shower stalls. When mastic is exposed to excessive moisture, even when used properly, it may start failing after just 5 years. Properly applied mortar can last for more than 50 years without failing. Although setting mortar is a little more time consuming and challenging, professionals recommend that it is worth the time and effort. Use a concrete based board underlayment and a plastic sheet behind it to bar moisture from making the frames rot. Apply the tiles on the board using mortar. 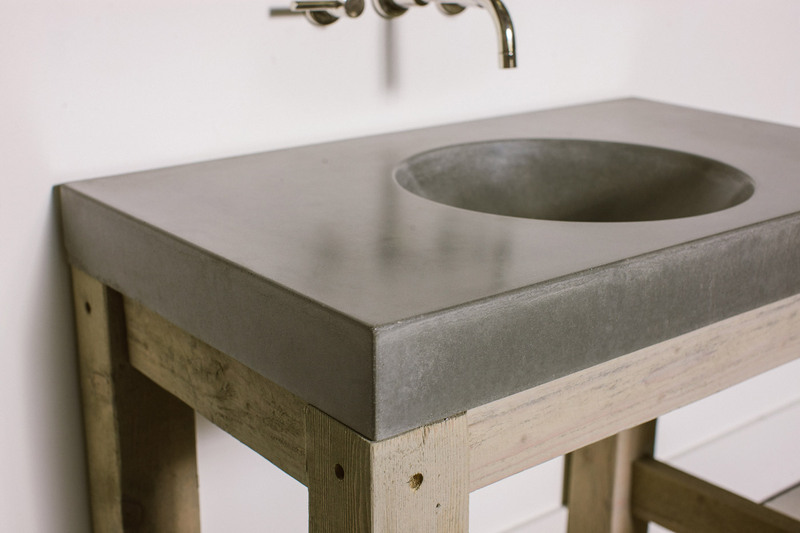 Concrete boards draw some moisture from mortar, especially when mixed properly. Some experts add water to mortar when preparing the mixture. Some soak porous tiles in water prior to installing them. These measures ensure the tiles align properly before setting mortar. This also ensures better bonding after setting mortar. Runs of tiling can be kept straight by using batter boards. Most DIY homeowners omit using batten boards. They’re temporarily attached on the floor or wall and are used as guides to keep the tiles square and straight. 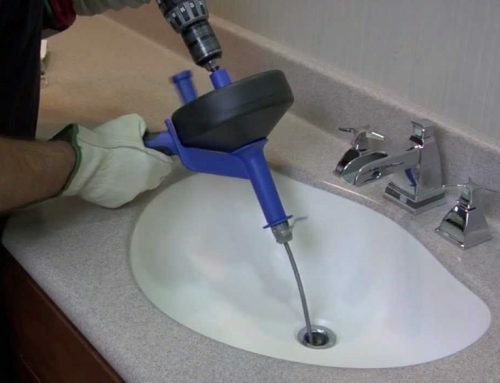 Spacers can also help in keeping lines of grout uniform. You can get plastic spacers from local home improvement stores. Once you set mortar and allow it to cure, fill the grout lines or spaces between the tiles using tile grout. You can push the grout firmly into the line using a dowel. Excess grout should be wiped off. When tiling, always remember to apply group properly. This will give the tiles a tight sealing once it dries. Only use high quality sealers. For better results, you can apply additional group every six months. The total number of coats should at least three. This way, the sealing will last for decades. When looking for a Sydney bathroom remodeler to assist you in a major renovation, why not utilize the internet? You can easily browse the internet for multiple contractors marketing their renovation services online. You can even find matchmaking websites to assist you get a local contractor easily. Ensure to check profiles of potential contractors, including certification, insurance, licensing, references, and images of previously complete jobs, their staff, and customer feedback. This will assist you in making a more informed decision. Compare different contractors before settling on the final one to hire.